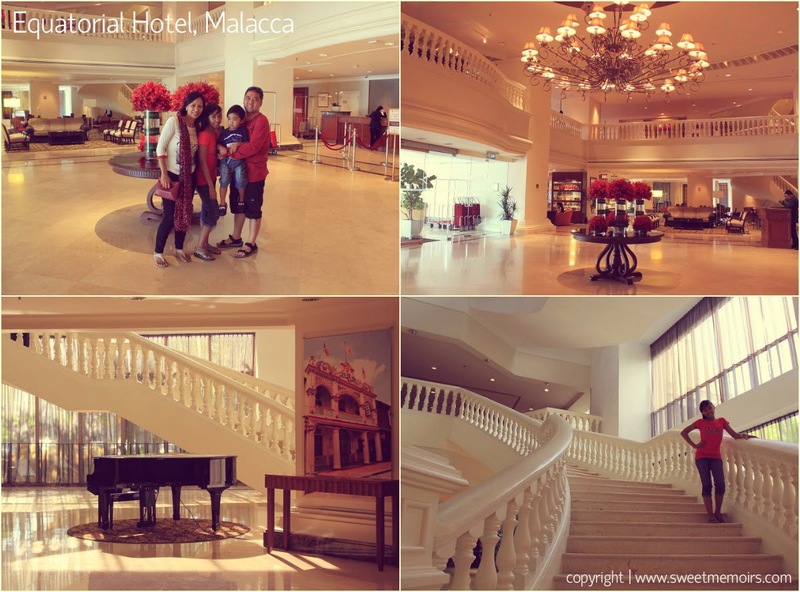 If you are looking for a good hotel to stay in Malacca, Equatorial Hotel does not disappoint. What makes it a good choice apart from its 5 star rating is its accessibility to many places of interest in the world heritage city. 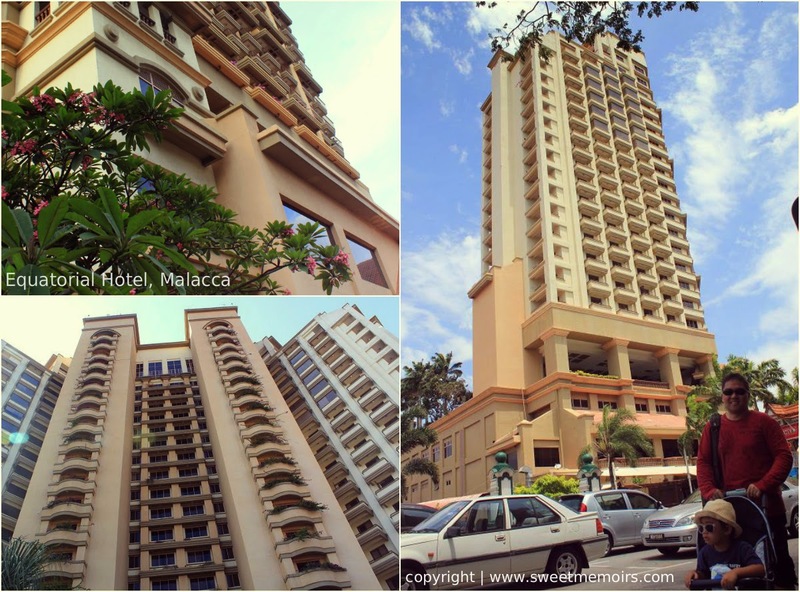 It is basically walking distance to A Famosa, Christ Church, Jonker Street, Melaka River Cruise, numerous museums and many more interesting places worth discovering. I have completed the list of the places we explored by foot in this post. This was taken right upon our arrival. 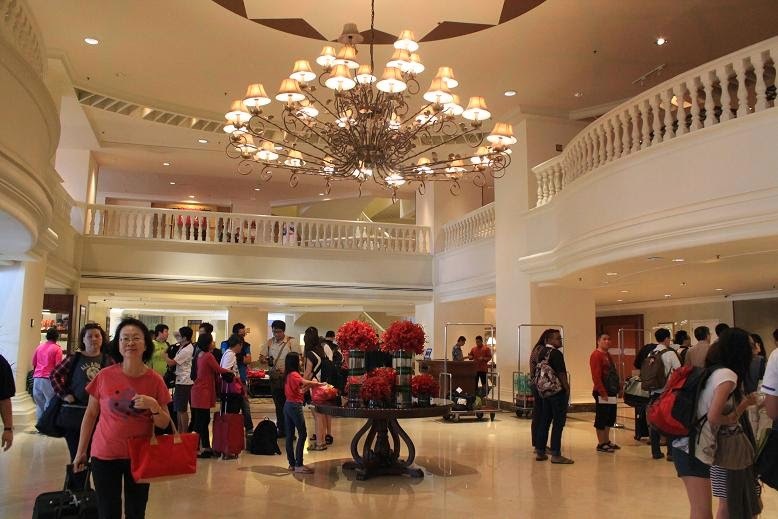 There are so many hotel guests busy either checking in or checking out. The calm after the storm, taken after we checked-in in our hotel room and rested for a while. The hotel lobby is so picturesque when it is devoid of hotel guests. The beautiful chandelier at the centre of the hotel lobby, the stunning piano, as well as the grand staircase made everything look so visually charming we couldn't help but take photos before heading out to scratch our itchy feet. 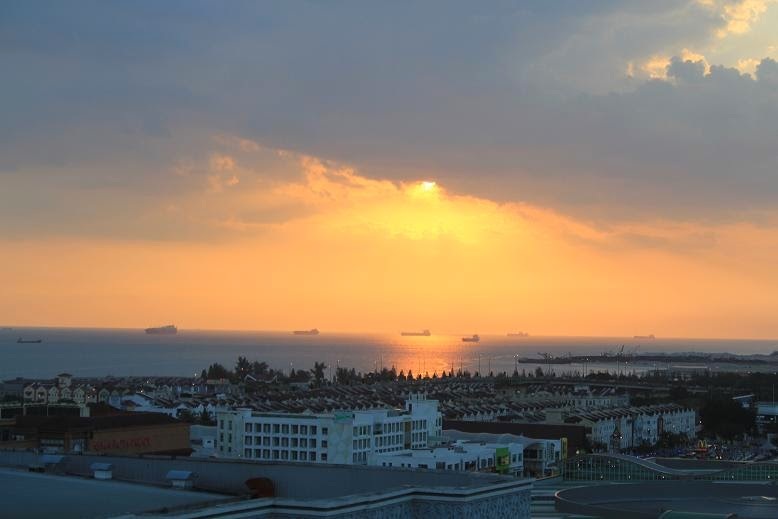 The hotel's deluxe room with the stunning view of the Straits of Malacca from its little balcony is equipped with dark coloured furnitures and adorned with paintings of the breathtaking Malacca river. Basic necessities like toiletries, hair dryer, safe box, mini-fridge, water heater, flat TV, free wi-fi, iron with board were provided. I would say we had a very comfortable and pleasant time in the hotel. When we checked-in, an extra bed for my girl was delivered. For the life of me, I forgot to request for a king sized bed when I purchased the 2D1N Malacca Groupon deal, hence we had the two single beds instead. If you are looking for a bigger room, you can opt to book premier room, executive suite, senator suite, governor suite or presidential suite. 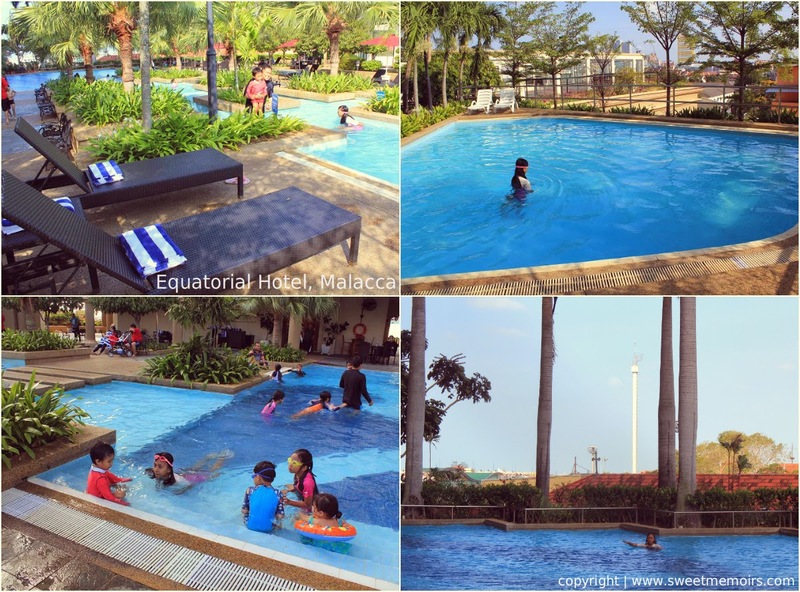 Equatorial Hotel also boasts spacious swimming pools both for kids and adults. My kids had a grand time playing in the waters after our complimentary breakfast buffet at the Rest House. 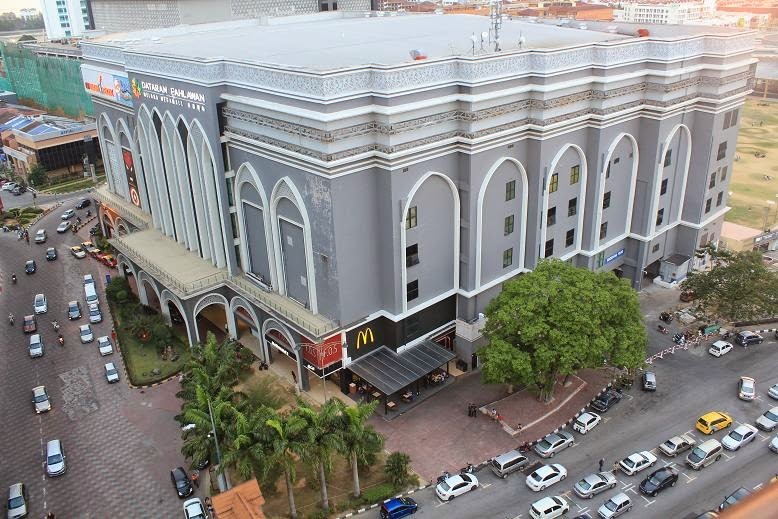 If you love shopping, you will love Equatorial Hotel even more because it is strategically located right opposite the Melaka Megamall and it is also walking distance from Mahkota Parade and other local malls. You also need not worry about food because food choices and places to eat are abound within and around the hotel premises. 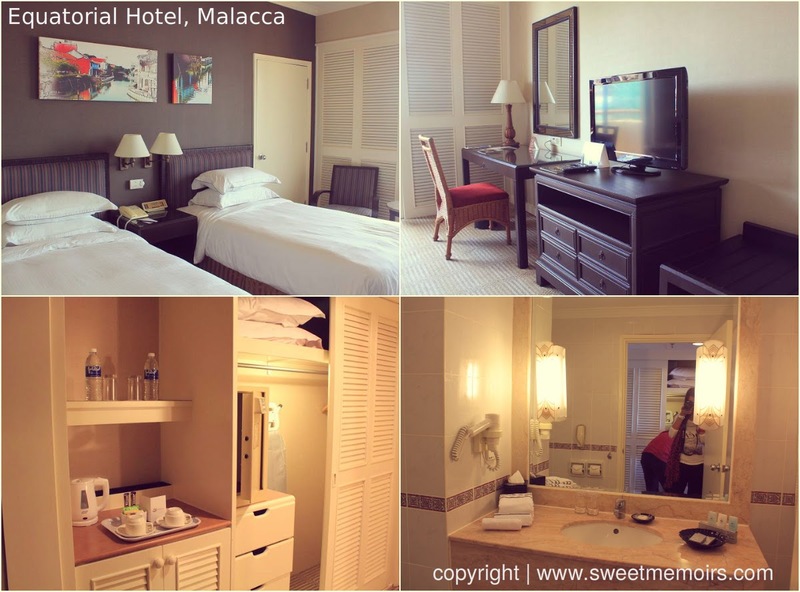 I would say the 2D1N Malacca Groupon deal I availed which includes coach and hotel accommodation is really worth it. Exploring a world heritage city is such a refreshing change from our previous trips to kiddie theme parks. 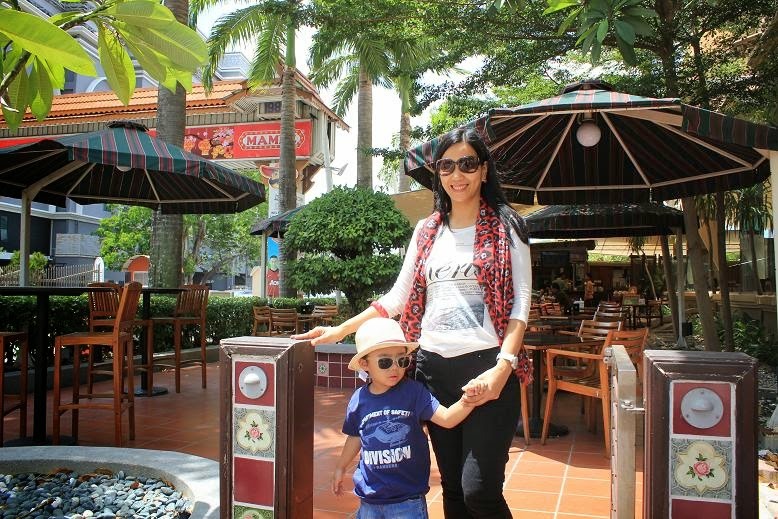 Although the kids didn't have as much fun as we adults did, they actually enjoyed our trip to Malacca specifically the Melaka River Cruise.